We have expanded our software catalog again. CFM Incidents is available. After we published our new Purchase module at SMM Hamburg and were enthusiastic about the positive feedback, we have again expanded our software catalog. 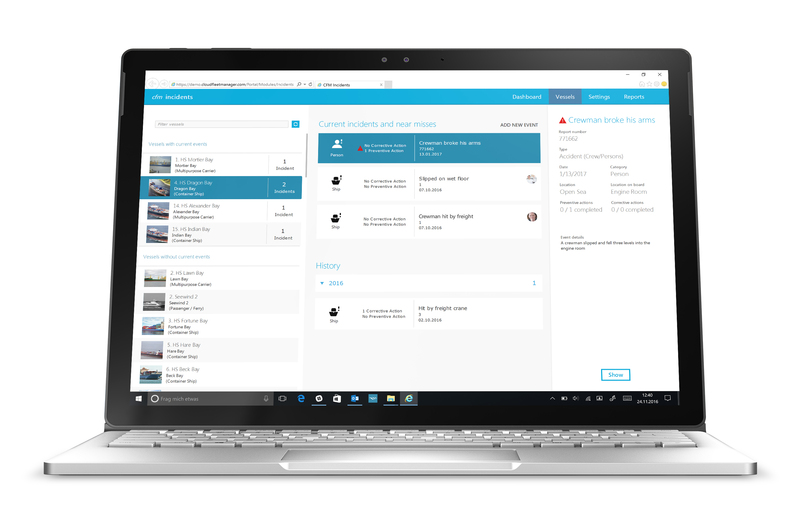 Our new module gives you the ability to document and manage all incidents, near misses and accidents, both technical- and human-related, in one central location - from improperly installed fire extinguishers to near-collision with an iceberg due to human error - all in one place. As with all our modules, we again put a lot of emphasis on ease of use and clarity in our Incidents module. On board, our solution is very easy to use and requires no additional training. Ashore, you can comfortably use our application, as usual, directly in the browser without the need for installations. In addition, our new module offers you a multitude of possibilities to record incidents in detail. This way you can obtain the greatest possible benefit for later evaluation. The data exchange between ship and office takes place fully automatically. As a result, there is no extra work on your part and you can always work with up-to-date data and react immediately to incidents. Thanks to a well-thought-out and intuitive design, our new module is clearly arranged as always. "The anchor was lowered even though there was still a diver in the water." This is just one example of a near miss that could easily have turned into an accident. Once such a situation has occurred, it is necessary to learn from it and to analyze the facts precisely: what behavior led to the situation in the first place? Was it due to human or technical failure? Did this cause environmental damage? How can such an event be avoided in the future? This is where innovative software solutions such as our Incidents module come into play. In addition to capturing accidents, by documenting near misses and their causes in CFM Incidents you are provided with a valuable foundation for your business to effectively prevent future accidents. Not only do you have a centralized catalog to document all occurrences, but you can also directly define corrective & preventive actions for each event. This allows you to easily create a best practice guide for specific situations. Together with a multitude of reports and statistics, such as our "Near Miss Ranking" in the Cloud Ship Manager, our Incidents module offers you a powerful tool to monitor your fleet performance permanently and increase it sustainably. See for yourself! In addition to the option to record incidents, your crew also receives the opportunity to submit suggestions for improvement or complaints with the Incidents module. Let your crew directly contribute to increasing safety on board your fleet. Make sure your fleet and crew are well prepared. 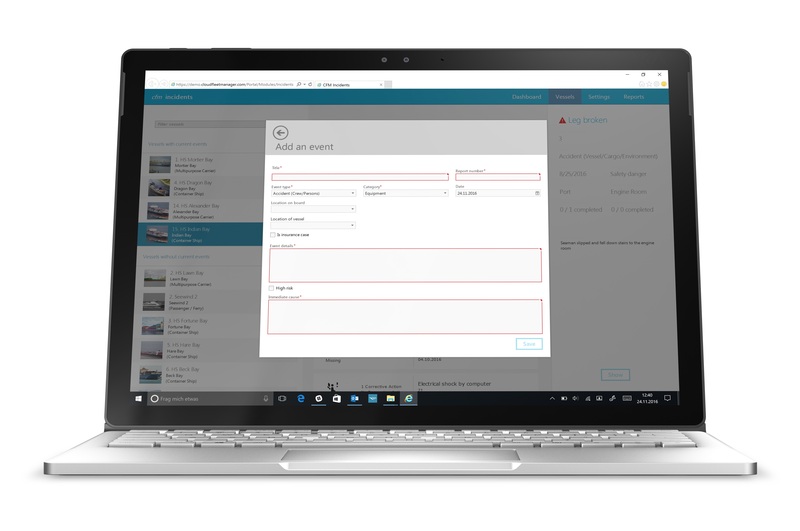 Convince yourself of the Cloud Fleet Manager and directly arrange an appointment.